Eugene Goldberger (1894-1993) was an immigrant from Hungary ca. 1910 who founded his own company for manufacturing dolls on Wooster St., Manhattan, in 1916. He first appeared in New York city directories in 1914, maintained his factory at 149 Wooster St. from 1916 to 1919, then at 457-465 West Broadway until 1925. In 1925 manufacturing was moved to 305 Richardson St., Brooklyn, while the company continued to have showrooms in Manhattan. 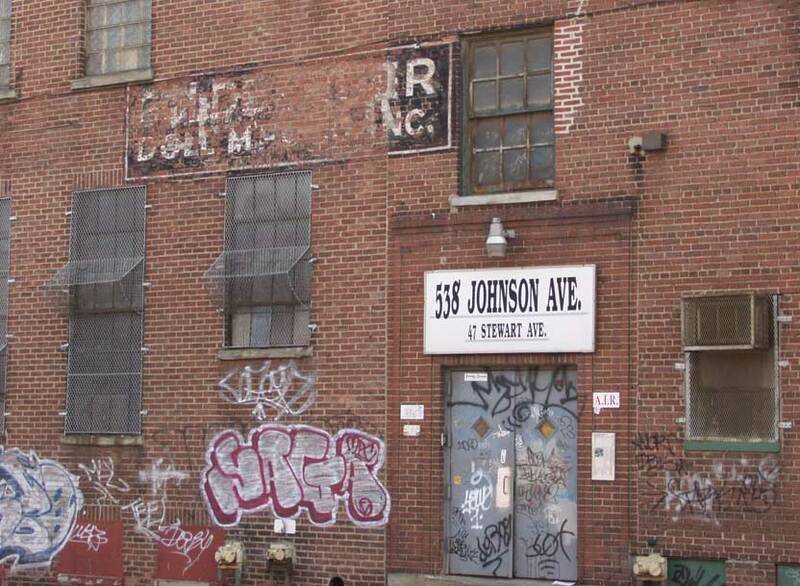 It was during the thirty year period, 1954 to 1984, that manufacturing took place here at 538 Johnson Ave., Brooklyn. On the Stewart Ave. side of the building in 2002 there was a sign for Eegee Doll. Eegee Doll was painted over a sign for Englander Spring Beds, who were located here approximately 1920 to 1954. More on Englander Spring Beds can be found on www.14to42.net. In 1938 E. Goldberger, Inc. filed for reorganization under bankruptcy. Then in 1939 the New York Times, 28 April 1939, reported, "Eugene Goldberger, also known as E. Goldberger, unemployed doll manufacturer, president of E. Goldberger, Inc., 1,560 Carroll St., Brooklyn - Liabilities, $82,104; assets, $200." Manufacture at E. Goldberger, however, seems to have continued without interruption. And it was in 1939 that Goldberger opened a new showroom in Manhattan at 1107 Broadway, near 24th St. This location remained their showroom until the late-1990s. The Goldberger Company, successors to Goldberger Doll Mfg. Co., are still in business (as of August 2013). You can visit their websites at either http://babysfirstdoll.com or www.goldbergertoy.com. Baby's First includes: "In 1916 Eugene Goldberger started the Goldberger Doll Company in lower Manhattan, New York. (For 80 years, our products were made in the U.S.) Almost a century later, it still is a family owned and operated company. "Papa Gene's" granddaughter Shelley and her husband Jeff Holtzman continue to carry on the Goldberger tradition of creating well made, affordable toys that children love and parents appreciate. In its third generation, the Goldberger Company is now known for creating dolls with a special emphasis on meeting the needs of younger children, from birth to age three, and their parents." The About on GoldergerToy.com includes a photograph of Eugene Goldberger dated ca. 1904. Unfortunately this site repeats the mistaken information "Goldberger Dolls opened its doors in Brooklyn, New York, in 1916." The internet swarms with hundreds of collectible doll websites with displays of Goldberger dolls. In print Collectible Dolls by Dawn Herlocher (Krause Publications, 2008) includes "The trademark EEGEE was adopted in 1923. Early dolls were marked 'EG,' followed by 'E. Goldberger,' and finally 'Eegee' or occasionally 'Goldberger.' Eegee is one of the longest-running, continuously operating manufacturers of dolls in the United States. Although the company never achieved the level of fame acquired by many other doll companies, Eegee constantly produced innovative and appealing quality dolls."